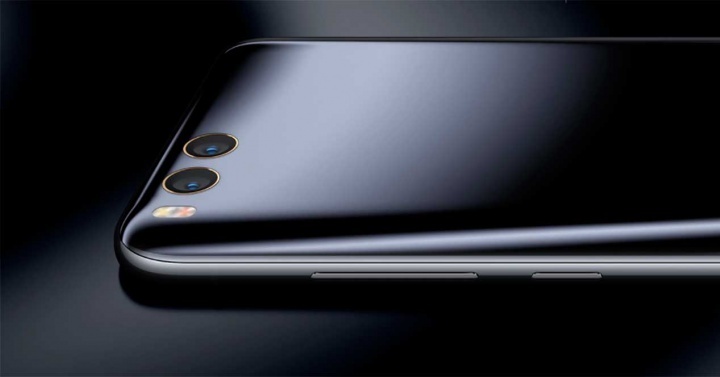 Xiaomi Mi Mix 2 and its spectacular design, and the Xiaomi Mi Note 3, the great phablet that will compete with the new Note 8 from Samsung, are waiting for us from Xiaomi yet two great launches at the end of the year. Now it has filtered the one that would be first image taken with the camera of the Xiaomi Mi Note 3. This week we knew the first details about the design of the Xiaomi Mi Note 3, a phone that would look quite like the Samsung Galaxy S8 +, the largest model of the flagship of the Koreans, and which seems to have been the inspiration of the Chinese. An image filtered on the network about the opening of one of the new stores of Xiaomi has aroused the suspicions of the netizens. 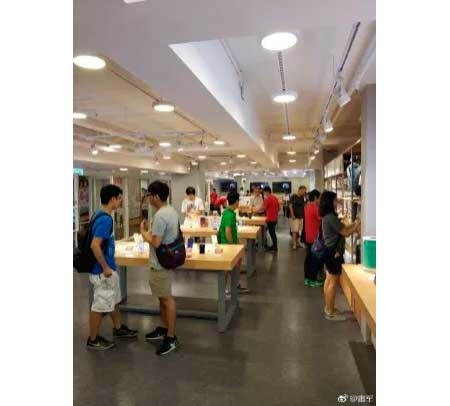 This photo shared by the head of Xiaomi, Lei Jun, has made many suspect that it may be an image taken with the camera of the Xiaomi Mi Note 3. The image in question does not know to which phone belongs, hence All suspicions have been raised. That yes, thanks to this image many have been able to know some details of the camera responsible for this snapshot, and by extension of Xiaomi Mi Note 3. According to the EXIF ​​data, which have been deleted later, it is revealed that the photo has been taken with a Xiaomi Mi Note 3, which is certainly a surprise. And from the rest of the data you can understand some technical aspects of this camera. According to these data the sensor used by the camera of the Xiaomi Mi Note 3 would be 12 megapixels, while the aperture of this would be f / 1.8, which would not be bad. This data reveals a dual camera of the Xiaomi Mi Note 3 very similar in characteristics to that of the Xiaomi Mi6, so it seems that in this aspect will not be too many news. From this Xiaomi Mi Note 3, a 5.7-inch screen is expected, as well as the powerful Snapdragon 835 processor with the Mi6, as well as versions up to 6GB of RAM. 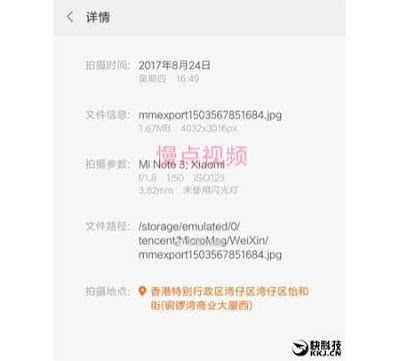 The presentation of this Xiaomi Mi Note 3 would be produced at the same time as the one of the Xiaomi Mi Mix 2, that some information have fixed for the same day of the one of the iPhone 8, in the month of September.